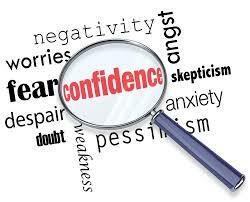 All of us at some point lose our confidence. It could be through a hurtful comment, unwarranted criticism, unrealised dreams, disappointing performance or overwhelming circumstances. Truth is, we don’t have to stay in that place of insecurity and doubt. We can live with confidence in every arena of life regardless of how life may look right now. It comes back to our convictions in God and his Word in our lives. I find such confidence from knowing that God has spoken into my heart specific things for the details of my life. I can live with a fresh and joyful outlook on life because I know that God is for me and not against me. I can enjoy each day knowing that God has already gone before me and made a way even if I can’t see it nor understand it all. Confidence comes from knowing God and who you are in Him! Leonard Ravenhill once said, ‘He who is intimate with God will never be intimidated by man.’ How can man or circumstance be intimidating when we come into a deep realisation of who our Father really is. My prayer for you is that you would know the hope to which God has called you and you would encounter the reality of who God is at the core of your being. Out of that place of revelation you can live with an abundance of humble confidence. ‘The Freedom of Self-Forgetfulness’ is a short book written by Tim Keller, pastor of Redeemer Presbyterian Church in New York City. Tim is a NY Times best selling author. This is one of the most explosive and helpful little pocket rockets I have ever read. It’s in my Top 10 and I encourage you to get a hold of it. I received a very timely and powerful prophetic word from a respected prophetic ministry here in Australia. Prophecy encourages, affirms, clarifies and edifies. I heard recently of a fantastic church in Adelaide (Edge) baptizing nearly 100 people in a single service. Awesome news. Choose to become a Great Leader! I’ve observed leadership is a choice, as much as it is a calling. Once you answer the call to lead, you are given a choice as to how much you want to grow as a leader, and this choice can be a wrestle as great as the wrestle to answer the call to lead. The reason why we wrestle with this decision is because we love comfort and convenience, which leads to a static approach to life. Leadership is about progress and requires a more dynamic approach to life. If you’re going to move from where you are to where you want or are being called to be, you need to choose to grow. Good is the enemy of Great! Most organizations aren’t great because they’re content with good. Yet I believe any church, company or team can go from good to great provided they have a desire and intentionality. A great church isn’t a result of right location, right branding, right planning, right circumstance or a celebrity leader at the helm. It’s largely a matter of conscious choice. A church becomes great because people within it choose to become great leaders. A great leader is a paradox of both humility and sanctified ambition, not for themselves but for the church or group they’re apart of. Just as a duck floats on top of the water with grace but is ferociously paddling under the water, so too is the great leader. They are humble and self-effacing but ferociously determined to accomplish a result for the sake of their team. Reproduce yourself in the next generation and set them up to succeed. 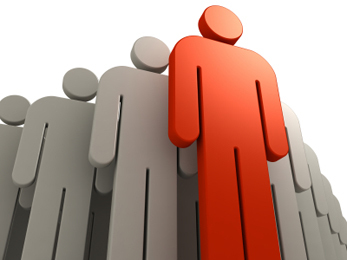 Remember, Great leaders are very rarely recruited from outside the organization but are already being raised on the farm. Great leaders attribute any success as a work of Gods sovereign grace rather than personal greatness (1 Cor 3:7). Make the decision today to move from being a good leader to being a GREAT leader.